The Book of Lies is riveting – despite its 288 pages, I read it in three days. I felt compelled to keep reading as this multi-layered tale grabbed me and pulled me along. The two main strands are the stories told by fifteen-year-old Cathy in the ‘present’ of 1985 and by her uncle, Charlie, recounting, in 1965, events from the war. Misunderstandings and assumptions pepper both stories and bring them together in a surprising way in the last few pages. Placing the protagonists on an island focuses the reader geographically, giving the author more temporal freedom. 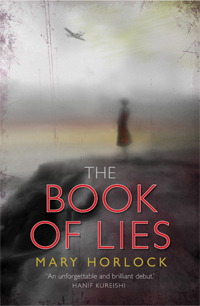 The Book of Lies is an interesting title for a work that plays with questions of truth and questionable truth. The author explores how different people have different truths about an event and how this allows for the invention of lies, and she also examines straight-out lies told for reasons the perpetrator may not even be able to fathom; and there are lies which are employed in attempts to save lives and relationships. Novels need to entertain. However, they are so much better if they also teach us something new and open doors to places we don’t know. The Book of Lies does all of this brilliantly.